OAUTH Schools of Nursing Admission List 2018/2019 | Check Full Admission List. Are you aware that the Obafemi Awolowo University Teaching Hospitals Schools has officially released her 2018/2019 admission list, which contains the names of all candidates, successfully admitted into the academic institution for the 2018/2019 academic session. This is to inform all the candidates that participated in the Obafemi Awolowo University Teaching Hospitals Complex, OAUTHC Basic Schools of Nursing, Ife Hospital Unit and Wesley Guid Hospital, Ilesa, just concluded interview that the management of the institution has released the list of successful candidates. 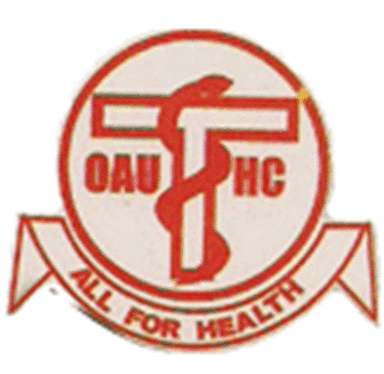 Obafemi Awolowo University Teaching Hospitals Schools of Nursing Admission List. 12 19639 OGUNLEYE ADEYEOLUWA B. 32 17375 OLAYEMI FAVOUR O. 43 18923 HAZZAN OPEYEMI O. We cherish your opinion and we look forward to it. Hence, if you need us to feed you with more updated information at the right time about OAUTH Schools of Nursing Admission 2018, kindly provide us your phone number and email Address in the comment box below. Babcock University HND to B.Sc Conversion Admission Form 2018 and Guidelines. « AAUA Post UTME Result 2018/2019 | See How to Check AAUA Result Here.